A lot of families across the USA are considering room additions to provide the much needed additional space that they need. Adding additional rooms to your home can provide some amazing benefits to you and your family as you will see below. Most homeowners will go for room additions because they need more space. Most American families tend to store a lot of things, and before you know it your home is full to capacity. With room additions you will solve this problem by providing the necessary square feet that you need to live more comfortably. Room additions can be family rooms, another bathroom, another bedroom or even an additional kitchen. The size of the additional room is down to the space that you have available, but even the smallest addition can make a significant difference. Enlarging your kitchen by a few feet can have a dramatic effect. These days a lot of kids are moving back to their original homes in the USA. Pew Research Center ran a study and discovered that nearly 40% of young adults were living at home with parents. 21.6 million young adults aged between 18 and 31 were living with their parents in 2012, and 4.6 million senior citizens were living with their children too. Room additions can easily be a bedroom for a young adult or seniors to live in. You could even add a small bathroom to this room. Although it is not a cheap thing to add an additional room when it comes to family you will do what needs doing. You may want to have an additional bedroom and bathroom combination built to provide you with rental opportunities. There are plenty of people that are looking to rent rooms in a nice family home. This is a good way to offset the construction costs of room additions too. In a lot of cases adding an additional room to your home will increase its value. But this is not always the case. This will vary from state to state and different areas within states. If adding value to your property is the primary objective, then you will need to research this properly and discuss it with real estate experts before you go ahead. Moving home to acquire the additional space that you need can be really expensive. Then there is all the stress and hassle associated with packing up, dealing with movers and unpacking at the other end. 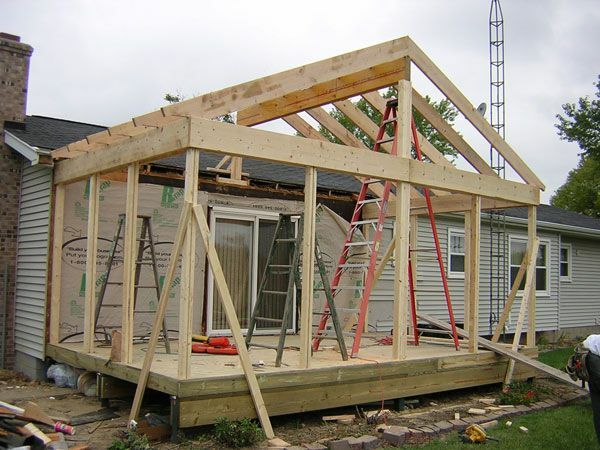 Most home additions are constructed with a minimum amount of hassle for the family. The foundation and framing work comes first before there is any need to start the work inside your home. Even when work in your home starts it is a lot less stressful than moving. The two rooms in the home that people always want to remodel the most are the kitchen and the bathroom. Adding an additional room next to your existing kitchen or bathroom can provide the opportunity to make either of these rooms more luxurious. You can add some great new kitchen appliances or a fancy bath tub and sinks. A sunroom is a really nice idea for a room addition. The cost of this kind of addition is generally less than a conventional room addition and you get the same amount of space. There is the added advantage of the additional sunlight that will fill adjacent rooms to your sunroom. Talk to your expert contractor before going ahead with this. If you want to create a dream home then room additions are certainly a good way to do it. They can be less expensive than a complete home remodeling, and are always a preferred solution over moving home. You will need a lot of help and advice to plan your additional room. You need to speak to an expert construction company who has experience with room additions. When you get additional rooms right they will provide you with the extra space you need and more for years to come.